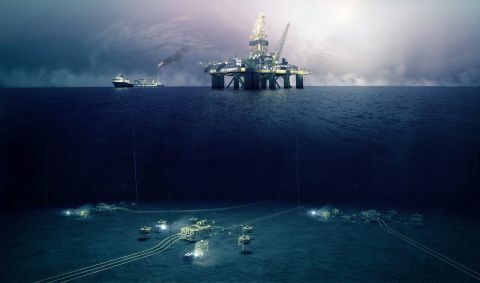 FutureOn, a leading oilfield software and data visualization solutions provider, announced a new multi-license agreement for its cloud-based software Field Activity Planner (FieldAP) with Equinor, a Norwegian multinational energy company, formerly Statoil. FutureOn, together with Equinor, will pilot FieldAP to digitalize and integrate data from existing North Sea brownfields operated by Equinor, enabling real-time engineering and cost analysis of potential tie-back opportunities. FutureOn’s easy-to-use 2D/3D data visualization platform provides a compelling user experience while integrating Equinor’s backend systems for enhanced decision making. In the early phase, the work will focus on using FieldAP to increase efficiency in concept development and selection. The ambition is to further reduce cost and select the concepts which provide the best value supported by digital tools. FieldAP is the first global collaborative tool allowing oil and gas operators to digitally merge and visually design large volumes of offshore oilfield data in a centralized cloud platform. The tool allows rapid visualization of offshore engineering workflows, next-generation project planning to collaborate more productively, and provide greater insights into working smarter with enhanced results. For more information, visit our FutureOn Today blog. Headquartered in Oslo, Norway with a U.S. office in Houston, FutureOn is a digital technology innovator enabling customers to see more possibilities for their assets and begin to make more forward-thinking choices. For more information on FutureOn and its collaborative platform solution FieldAP, visit: www.futureon.com and connect with us on Facebook, LinkedIn, and Twitter.